Push the envelope of beauty to another level with this lehenga choli design that is having the color of sun and heavy embroidery work. The ghaghra is embedded with flowery design all over it and zari embroidery work at the end of the lehenga. The blouse has a beautiful neck line which is completed with embroidery work all over the choli that enhances the lehenga suit further. 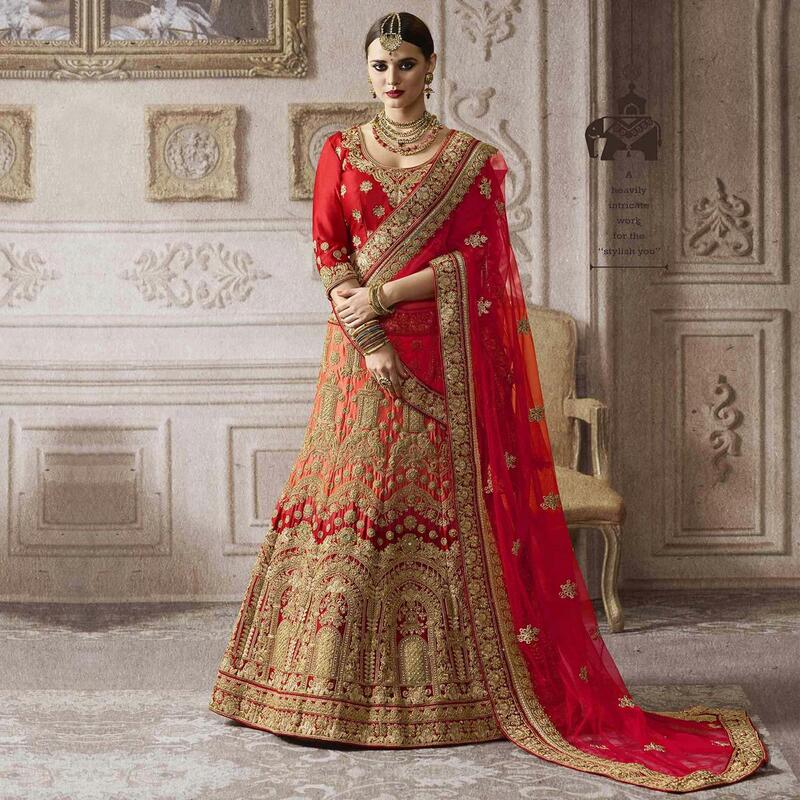 The dupatta looks stunning with the butta & zari border on it that matches the design of the lehenga. The stuff used in the lehenga and choli is art silk and the dupatta is net.